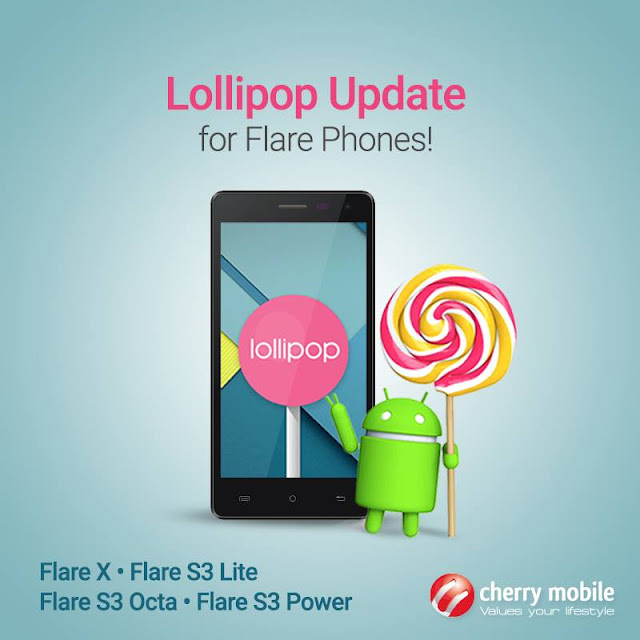 Cherry Mobile outs list of Flare smartphones to receive Android Lollipop updates in their official Facebook page. Find out if your Flare smartphone is on the list. Cherry Mobile outs list of selected Flare smartphones that are scheduled for Android Lollipop update in their official Facebook page. After the release of the new crop of the premium Flare smartphones earlier this month, the local company is set to refresh several Flare handsets with the one-generation old Android mobile operating system. The Android 5.0 Lollipop infuses a major aesthetic departure since the OS's debut with the Material Design. Likewise, Lollipop also offers a refreshed lockscreen and longer battery life with the battery saver mode. The local company is yet to announce the rollout schedule of the imminent firmware update. As usual, we will keep you posted.